Here is an efficient battery charger for Car battery and Inverter battery. It quick charges the battery with 5 Ampere current and cut off charging when the battery attains 13.8 V which is the full charge condition of the Lead Acid battery. Red LED indicates charging process while Green LED indicates full charge and charger cut off status. If you own a Car, you need a Battery charger to charge the battery if the vehicle is not running daily. 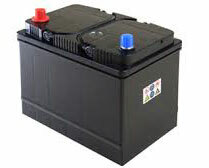 Car battery is rated 12 Volt 32 Amps or 45 Amps. It needs both charge and discharge cycles to keep the battery always in top condition. Aging of battery starts just after its manufacturing and as the age increases, the Lead Acid battery loses its capacity to hold charge. Here is a simple Car battery charger you can make. 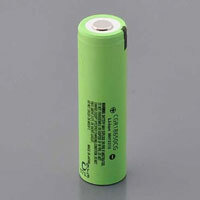 Now a day’s many LED Torches and Emergency lights are using in Home which are powered by 3.6 Volt rechargeable battery. Due to improper charging, battery will damage and the torch becomes useless. In many of the makes, a Transformerless power supply is used to charge the battery but it may easily fail due to voltage spikes in the mains line. 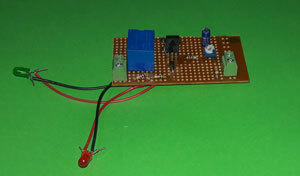 So here is a simple battery charger for all kinds gadgets using 3.6 V battery. Presenting here three circuits to make efficient Battery chargers. The 12 volt Lead Acid Car battery requires high current for fast charging. If we provide high current, the battery will charge within 1-2 hours fully. Usually a Lead Acid battery takes high current initially, which drops to 500 mA or less after 10-20 minutes. As a rule, it is advisable to charge the battery with a current that is 10 times lesser than the battery capacity. The Car battery is 32 Amps or 45 Amps so it requires 3.2 Ampere and 4.5 Ampere current respectively. So the charger should provide 14 volts with a current of 5 Amperes. You can make a simple Current regulated Charger for your Solar Panel. It safely charges the 12 volt battery with a constant current of 540 Milli Amperes. 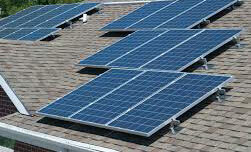 It needs only a few components and can be hooked between the Solar panel and the battery. It also has an LED charge indicator and a revere polarity protection diode. Here is a general purpose battery charger that can deliver 3 Ampere current at 12 Volts to charge Lead Acid battery or Tubular battery. The Ampere meter provided in the circuit indicates how much current is flowing into the battery. Two LED indicators are included to show the charging status.